THE NATIONAL FOREST INVENTORY (NFI) What is the NFI? 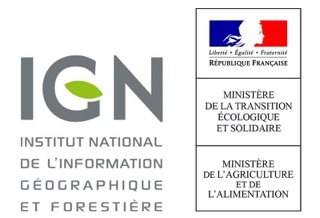 The National Forest Inventory (NFI) was created in 1958 as a department of the French Ministry in charge of forests (until now, the Ministry of Agriculture), in order to assess French forest resources. It carries out a permanent inventory of national forest resources, independently of all ownership issues. In 1994, the NFI was turned into a public institution supervised by the Minister in charge of the forests. Until 2004, the French NFI was covering one administrative division (called department) at a time, going through the country over a 12-year period (nearly 8 departments were inventoried each year). Since November 2004, in response to changes in the data needs and to enhance the possibilities of estimating the impact of major events like storms and droughts, the NFI changed its methodology. It has undertaken inventory operations over the whole French territory using sample points on a grid defined for a 10-year period, from which one tenth is dealt with each year. The data concerning inventory points are collected from aerial photographs or from NGI’s BD-Ortho (the National Institute of geographic and forest information), as well as from field observations and measurements. Dendrometric, ecological and floristic information is recorded in database and made available to the public : Raw data. The NFI also creates forest maps by administrative county through interpreting aerial photographs into a dynamic mapping module : Forest data base. The NFI publishes, free of charge, the main inventory results on its website (The Memento) and it has developed an interface with subscription for the consultation of all results on-line (Online tables). Likewise, it publishes results brochures for the previous inventories by county, forest maps, reports and “l’IF” a eight-page synthetic document on a given specific topic : L’IF. The institution can take additional data on request (dead wood, forest health...) and carry out studies based on its data in the field of forest and environment survey. It thus brings its technical experience to studies undertaken in the field of forest resources inventory in France as well as in foreign countries. It finally answers requests from any public or private organisation or person in France or in foreign countries for research, expertise, studies, surveys and investigations linked to natural forests and other spatial inventories. Discover the forest inventory on video (french version).